Russell C. Stith peacefully went home to be with the Lord on Monday, March 25, 2019. Russell was known as “Fleet”, born in Portsmouth, VA, May 25, 1962. He was educated in the Portsmouth School System. Due to his untimely death Russell pursued his position as a Project Manager for ABM/Lifenet for 9 years. Russell was a dedicated hard worker that made sure the job was done. He also had a laugh that would light up a room. Russell had a special place in a lot of people’s heart. He will truly be missed. Russell was predeceased by his (mother) Willie Mae Stith, (Sisters), Sandra Stith and Artelia Cross (grandmother) Bland Scott. 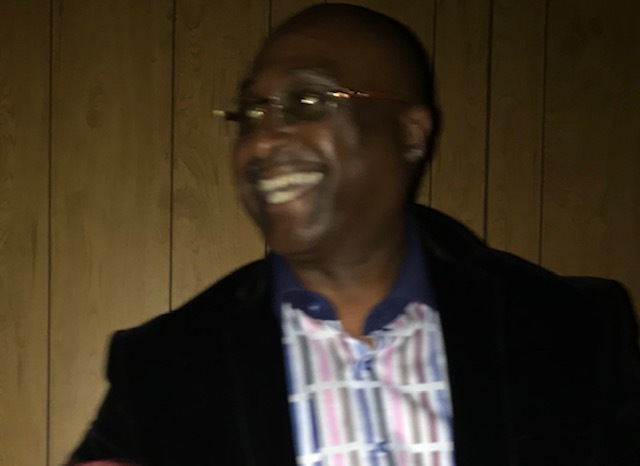 Russell is survived by his Fiance’, Angela Walker; son, Antwan White, Phillip Walker; sisters, Patrice Walker (Tony), Phyllis Sawyer (Benny); special cousin, Cynthia Stith, Samantha Scott, Clarese Scott; stepdad, William Moon; nieces, Shanta, Banite, Tonae. and Meka; nephews, Deon, Ben, Man Man, Juwan, Herbie and some very special friends; Melvin Ellis, Anthony Porter, Marcus Wray and Calvin Sykes and a host of loving family and friends. My love and prayers are with the Stith and Walker family. Know that God will comfort you and will mend broken hearts. I am so sorry for your loss. Russell was always so happy and so glad to help someone. He always had a smile on his face. He will be truly missed at Lifenet Health but his spirit will always be with us and he will be never forgotton. Russell was always a friend you could count on. I never saw Russell in a bad mood. He was the hardest worker and always had boundless energy. I will think of him often and all the good times we had working together. He is resting now and will always be remembered. My condolences to the Stith family. May you rest in peace, Russell! You will always be in our hearts. I will always remember your laughter when I say “you’re working hard again, where are your people? Hire me so that I can help with cleaning-up the building” and you would always laugh and say “yes, Beth, yes, I got to”. Russell, we will surely miss you! So sorry for your loss Phillip and family. Russell was a delight to work with every day! He was a crazy hard worker and did his best to make sure the job got done! He was available night and day. He was someone you could depend on. I wish peace and comfort for family and all his friends and crew. I will miss his smile and laughter. My condolences to Russell’s family. I will truly miss my buddy Russell. I worked with him for 5 years at Lifenet Health for ABM. I used to always tell him “Russell you are the best boss I’ve have ever had. He would laugh and say “OH Yeah??”. He would come and check on me and as soon as he saw me he would say”Miss Smileyyyyy! with a big smile on his face. He was such a pleasure to work with and he truly cared about people. He was such a hard worker. So hard that I used to tell him to slow down and take it easy. He was so easy to talk to. Even when I had to call out sick, he truly cared. A couple of times I was seen at the emergency room and he would tell my husband to give him a call back and let him know how I am doing. My husband really like Russell too. He told me you really have a good boss. Russell and I were only a year apart and I would tease him and say “Alright Russell you better slow down, you know you are getting old and he would say no no you getting old Miss Smiley and we would just laugh and laugh.I would say you know Im a year younger than you and he would laugh and say thats alright I’m still younger. LOL. I am going to miss my buddy so much. Rest in peace my friend!!! My prayers go out to his family and friends. May God give you all peace and comfort in this time. Next Thomas Calvin Whidbee, Sr.